From the moment you start the ignition, to the minute you pull into your driveway, we want you to make the most of every kilometer. That’s why the 2018 Corolla’s streamlined exterior includes aero-stabilizing fins and a finely tuned underbody to enhance handling and improve fuel efficiency. Want to get even more from your fuel tank? The Corolla LE ECO offers additional “Valvematic” technology, which in laymen’s terms means you’ll get a Continuously Variable Transmission with intelligence and shift mode, low rolling resistance tires, and lots more. Just ask us for the details. It’s a rare mix when you find a vehicle that’s roomy and comfortable enough to be practical, but sleek and professional enough to impress the neighbours. The Corolla’s exterior includes a sleek front grille and bumper, plus wheel cover and alloy wheel designs. When it comes to the interior, you’ll find only the best materials and premium finishes. Taking your friends to cheer on the green and white? No problem. The 2018 Corolla’s comfortably fits five, with plenty of watermelon room to spare. Driving out late to catch the aurora? We’ve got you covered, with automatic LED headlamps as standard. At Moose Jaw Toyota, we believe that every journey should be a safe one. No matter if it’s a 5-minute trip to the grocery store or a full-on road trip to the mountains, your vehicle should protect you and your family for every possibility. You may be able to predict how you’ll drive, but there are some things that you can never prepare for. That’s why Toyota’s new Safety Sense system (TSS-P) is standard on Corolla, and includes a pre-collision avoidance system that assists in warning the driver of potential dangers, plus much more. ** Dynamic Radar Cruise Control is designed to assist the driver and is not a collision-avoidance system or a substitute for safe and attentive driving practices. System effectiveness depends on many factors such as weather, traffic and road conditions. 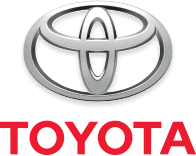 Please see toyota.ca, Taylor Toyota or Owner’s Manual for details. *** Based on IHS Automotive Canadian Vehicles in Operation and New Registrations MY 1997-2016 as of June 30, 2016. Actual longevity of any vehicle will vary based upon operating conditions.